Hope you all had a wonderful holiday and enjoyed spending time with family and loved ones. This year was the first year Tre and I spent Christmas together. It was so nice to relax and just hang out with our families. How did you guys spend your holiday? I wore this outfit a couple weekends ago when Tre and I hosted our yearly holiday party with our friends. I wanted something casual but still dressy. So I went for a more basic look. 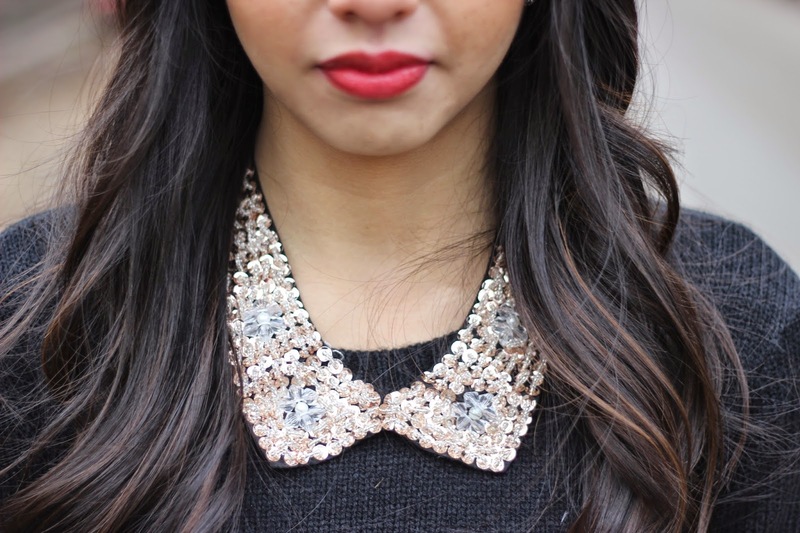 This collar necklace added a little glam to the outfit and the faux leather gives the whole look some texture. I also think this look can be a casual NYE outfit. This is ADORABLE!! I love the necklace so much. Pretty look, love the burgundy skirt! Loving your leather skirt, such a classy look ! I like your style, new follower on Bloglovin, greetings from Italy ! 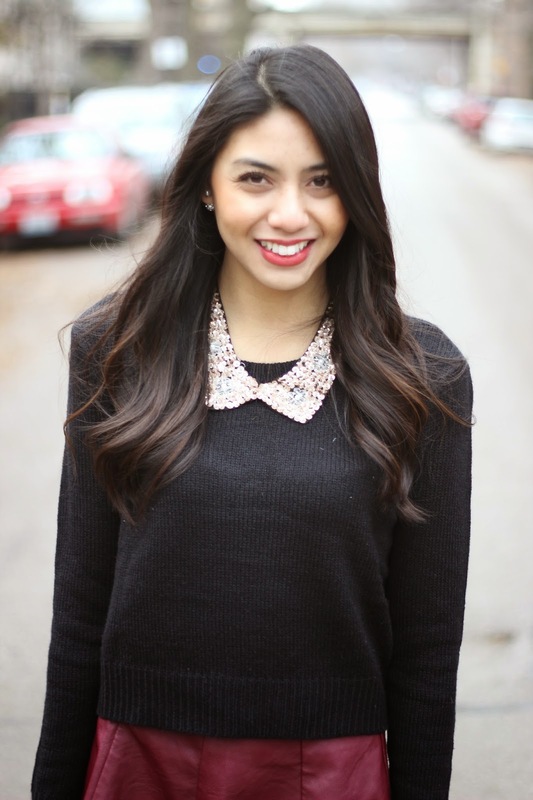 Win a sweater or a trendy Cape with this awesome international Oasap Giveaway ! Thanks Vale 🙂 Thanks for stopping by! That collar is a-m-a-z-i-n-g!!! You look so pretty! 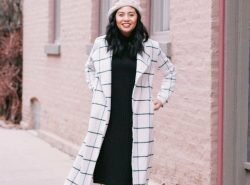 Lovely casual look for a holiday party. And I think your gold pants in the previous post are spot on spectacular! 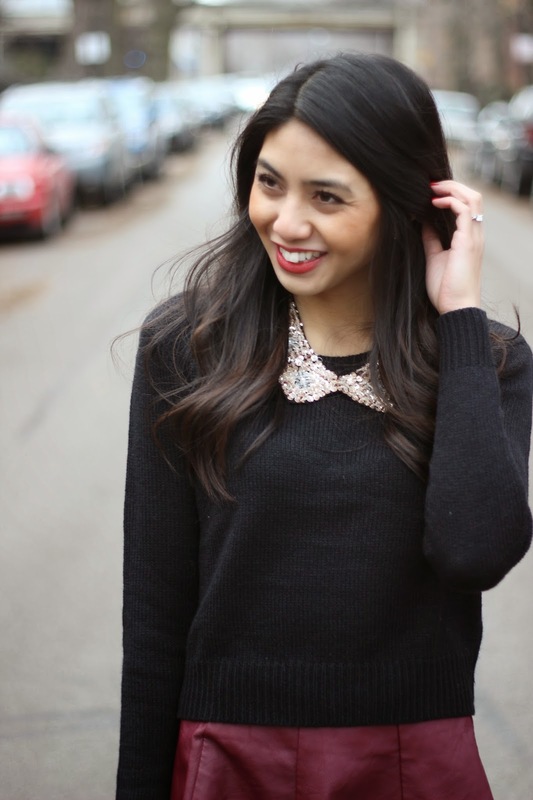 I love the collar necklace and I agree I think this would be a lovely NYE look!